Gov. Scott Walker says the lack of voter impersonation cases does not matter if there is a chance that even one vote is canceled out by fraud. Wisconsin Gov. Scott Walker speaks at the Republican National Convention in July. 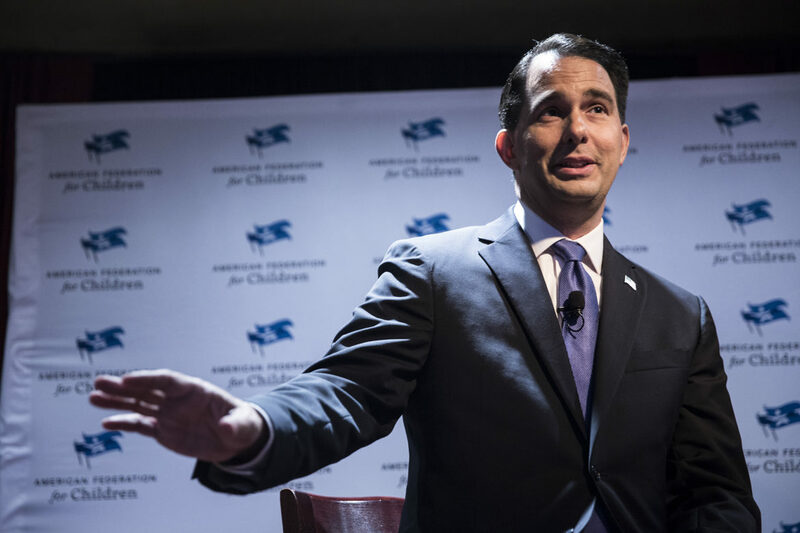 Walker supports ID laws to counter fraud even though voter fraud is rare in the state. Photo by Emily Mahoney of News21. Politicians and voting rights advocates continue to clash over whether photo ID and other voting requirements are needed to prevent voter fraud, but a News21 analysis and recent court rulings show little evidence that such fraud is widespread.A News21 analysis four years ago of 2,068 alleged election-fraud cases in 50 states found that while some fraud had occurred since 2000, the rate was infinitesimal compared with the 146 million registered voters in that 12-year span. The analysis found 10 cases of voter impersonation — the only kind of fraud that could be prevented by voter ID at the polls.This year, News21 reviewed cases in Arizona, Ohio, Georgia, Texas and Kansas, where politicians have expressed concern about voter fraud, and found hundreds of allegations but few prosecutions between 2012 and 2016. Attorneys general in those states successfully prosecuted 38 cases, though other cases may have been litigated at the county level. At least one-third of those cases involved non-voters, such as elections officials or volunteers.None of the cases prosecuted was for voter impersonation. 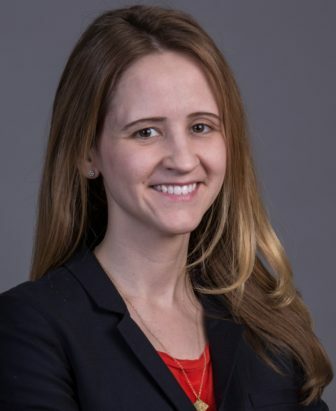 Jennifer Clark, counsel for the Brennan Center for Justice who focuses on voting rights and elections, says research shows voter fraud is not a significant problem in the United States. Photo courtesy of the Brennan Center for Justice. Lorraine Minnite, a political science professor at Rutgers University-Camden who wrote a book on the phenomenon in 2010 called “The Myth of Voter Fraud,” said in an interview that she has not seen an uptick in the crime since. Christopher Coates, former chief of the voting section in the U.S. Department of Justice, disagrees. Coates, who now works as the general counsel for the American Civil Rights Union, pointed to a list of voter fraud allegations kept by the Heritage Foundation, a conservative think tank in Washington. The list, based largely on news clippings and news releases, counted more than 100 allegations of voter fraud in the United States since 2012 — but only a handful were allegations of voter impersonation that could have been prevented by voter ID. 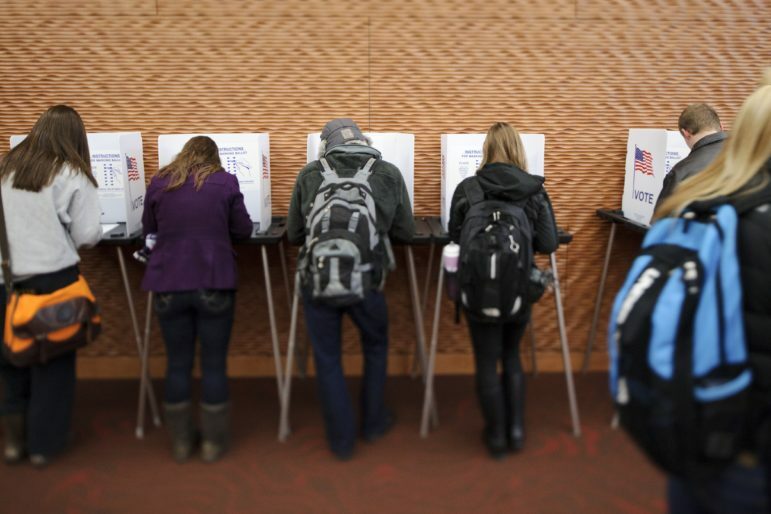 In July, Judge James Peterson of the U.S. District Court in Madison struck down parts of Wisconsin’s strict voter ID law, concluding that there is “utterly no evidence” that in-person voter impersonation fraud is an issue in Wisconsin — or in the rest of the United States. Peterson suspended portions of the law that restricted early and absentee voting and provisions that limited the forms of acceptable ID to vote. That decision was upheld Aug. 22 by the 7th Circuit Court of Appeals in Chicago. Eligible students vote during the most recent presidential election at Gordon Dining and Events Center on the University of Wisconsin-Madison campus on Nov. 6, 2012. Photo by Jeff Miller of the University of Wisconsin-Madison. In a separate case, Judge Lynn Adelman of the U.S. District Court in Milwaukee ordered the state to create an affidavit system allowing voters unable to get an ID to attest they are eligible voters. Attorney General Brad Schimel appealed that ruling, and the 7th Circuit agreed, overturning Adelman’s order, so for now, no affidavit system will be in effect Nov. 8. Reid Magney, spokesman for the Wisconsin Elections Commission, told News21 that until recently, the state did not track voter fraud. The responsibility to prosecute those crimes lies with district attorneys across the state. 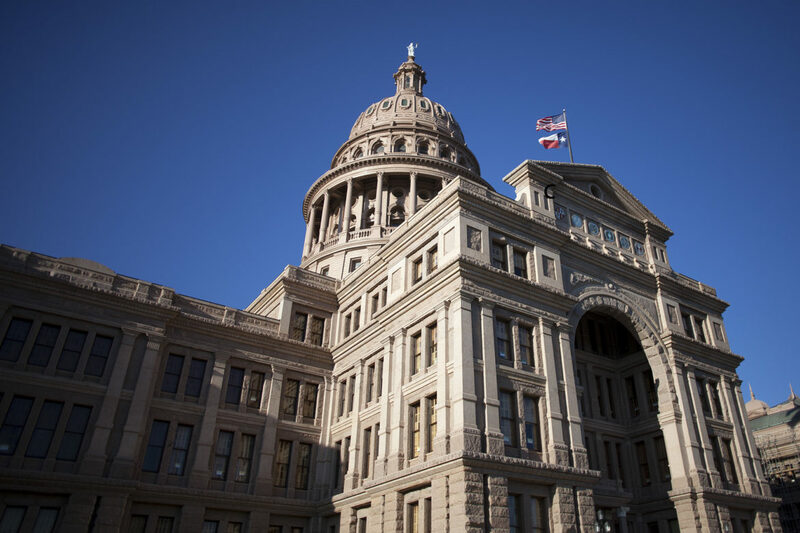 Lawmakers in Texas passed controversial voter ID legislation in 2011, citing concerns of voter fraud. Aspects of the law have since been overturned by a federal court. Photo by Pinar Istek of News21. A similarly strict Texas voter ID law was weakened by a federal appeals court after a panel of judges determined that the law violated the 1965 Voting Rights Act by discriminating against minority voters. The 5th Circuit Court of Appeals found that African-Americans were 1.79 times more likely — and Latinos 2.42 times more likely — than whites to lack the required identification. Judges also have found that minority voters are less likely to own a car and therefore less likely to get a driver’s license that could be used as an ID. Texas Gov. Greg Abbott has called voter fraud “rampant” in Texas. A records request from News21 to the Office of the Attorney General of Texas shows that more than 360 allegations of voter fraud were sent to the attorney general since 2012. Fifteen of those cases were successfully prosecuted. Four of those convicted were voters — the rest were elections officials or third-party volunteers. 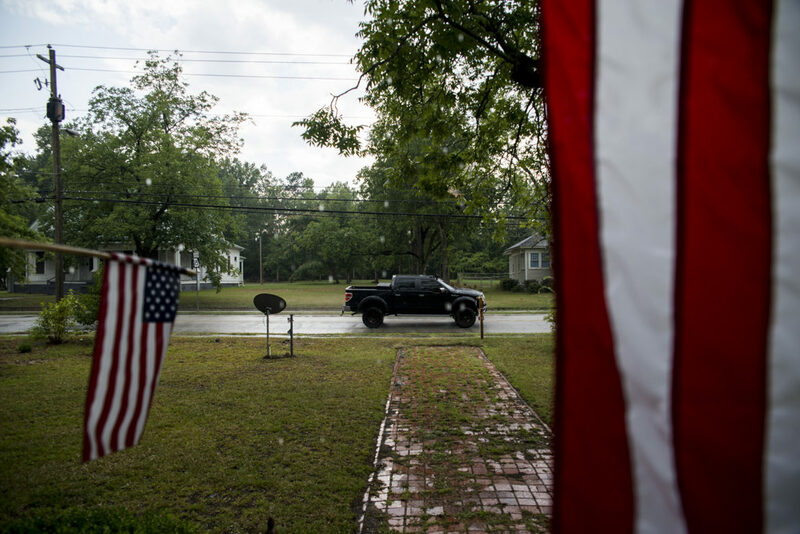 Residents in Sparta, Georgia, display American flags from their front porch on July 3, 2016. There have been 114 allegations of fraud investigated by the Georgia secretary of state since 2012. None of them involve voter impersonation, which is the type of fraud that voter ID laws are intended to prevent. Photo by Roman Knertser of News21. “Large numbers (of allegations) getting reduced, reduced, reduced at each level is the pattern that I’ve seen over and over and over again,” Minnite said. What the Governor means here by the one person whose vote is cancelled out by a fraudulent vote is one affluent white person voting Republican. He clearly has no problem with the elimination of poor minority voters who have no car, cannot go through the difficult process of getting a voting ID–it took me almost 3 hours, although I had time to spare and two college degrees, which many of the working poor do not–and who usually vote Democratic (No, Republicans, it’s not the “Democrat Party,” the word “democrat” is a noun, which cannot properly modify another noun; the correct name is The Democratic Party). Governor just be honest. You want to keep those who are negatively impacted by your tax cuts from voting. Voter ID is so important to Democracy because if indeed voter fraud is carried out successfully it would be entirely undetectable. Every single voter’s vote should count. Voter fraud is the REAL disenfranchisement. That is the real threat. 1. When the targeted voter (the person whose identity was illegally used) later shows up to vote and is told “You already voted”. 2. When the poll worker personally knows the targeted voter. When, back in 2012, an undercover right-wing film crew tried to prove that voter impersonation was easy in New Hampshire, they were actually caught because a poll worker knew the targeted voter. If Voter ID’s goal were truly preventing impersonation, it would accept other government photo IDs (like student IDs and out-of-state licenses or IDs for students). If the goal were preventing non-Wisconsinites from voting (the only possible excuse for not accepting out-of-state IDs for state college students), then why accept US passports (which never show state of residence)? If the goal were limiting the vote to US Citizens, why accept Wisconsin drivers licenses? Wisconsin issues drivers licenses and non-driver IDs to certain non-citizens. * Republican insiders discussed ginning up concerns over voter fraud in the days after then-Supreme Court Justice David Prosser narrowly defeated challenger JoAnne Kloppenburg in April 2011. “Do we need to start messaging ‘widespread reports of election fraud’ so we are positively set up for the recount regardless of the final number? I obviously think we should,” wrote Steve Baas, a senior vice president with the Metropolitan Milwaukee Association of Commerce, to a group of conservative operatives on April 6, 2011, a day after the Prosser-Kloppenburg contest. We already talked about how the Republicans use the voter fraud issue to their advantage… but lets not muddle issues, they weren’t saying to create phantom voter fraud issues they were discussing using anything that appeared “fishy” to their advantage. I don’t like it either way, and find the politics of today as extremely dirty and divisive, but you can’t start saying incorrect statements about the republicans saying voter fraud doesnt’ exist. AG, Vincent’s statement is correct. There is a difference between saying voter fraud is not a problem and saying that voter fraud doesn’t exist. It’s well known that voter fraud isn’t a problem. It’s not as well known whether republican operatives trying to say that it’s a problem are aware that it isn’t. That is, it’s not as well known whether they are just ignorant misinformed, or whether they are deliberately lying. What Vincent cited (and i then added) shows pretty clearly that the latter is the case – that the deception was informed and deliberate. …indeed, it wasn’t just informed and deliberate, it was down right methodical. You can’t just focus on Jensen’s reply. That’s disingenuous. The above was said knowing full well it wasn’t true. There’s only one way to interpret that. Arguing otherwise is ridiculous and obtuse. My favorite part is the Democratic PR flack just repeating her single talking point over and over again. Ah yes classic WashCoRepub myopia. Any comments about this state? WashCoRepub, we’re talking about in-person fraud in Wisconsin. And nobody is disputing that it can happen. And we’re talking about whether it’s a real problem in wisconsin or whether the prebulican talking points are overblown. And then if this is deliberate or not. Not really up for debate anymore, though. the evidence is pretty damning. I’d be shocked if he even replies. He never does. Just posts some partisan hackery and moves on. The issue is Indiana is one of the types of fraud that voter ID is intended to prevent. If an ID is required, the people who’s info was used to fraudulently fill out voter registrations wouldn’t have to worry about someone showing up pretending to be them on voting day. Remember ACORN? They registered many false registrations in Milwaukee in 2008. Voter ID will stop those false registrations from being able to be used because no one will have an ID that matches the made up registration. Again, just because voter fraud is used for political advantage, doesn’t mean it doesn’t exist. The left is also using this to take political advantage of the situation on the flip side. Both are despicable to me. Either denounce both sides or own up to your hypocrisy. Why are you telling us this? Do you think we don’t know how registration and voting works? NOBODY IS ARGUING THAT IT DOESN’T EXIST. No. “The left” is trying to make it so that everyone who has a right to vote gets to vote, and that no rules are in place that systematically bias the outcome in favor of a party or candidate by suppressing votes. There is nothing at all despicable about that. What’s despicable is that “the right” isn’t done the same. Is it really a matter of sides though? ACORN doesn’t exist anymore and it happened eight years ago. A lot has changed since then. What is happening today is entirely different. One political party is working diligently to make it exceedingly more difficult to vote for groups of people who typically vote for the other party at a time when the former party is facing an increasingly challenging (diverse) electorate. What happened in North Carolina is concrete proof of that. HappyJack, when you say “NOBODY IS ARGUING THAT IT DOESN’T EXIST” did you happen to read the title of the article? Really though, there are a lot of people arguing that voter fraud doesn’t exist. Vincent, I think we have covered this topic between you and I quite extensively and I’ve mentioned that I largely favor voter ID laws but oppose specific portions of WI’s law. That being said, the only reason I feel compelled to respond here is because there’s an awful lot of one sided views going on and a lot of ignoring half the equation. The sides just are not equal here. I’d give your viewpoint more weight if there was an actual voter fraud problem, but since there isn’t, efforts to suppress the vote are far more disconcerting (not to mention far more insidious and prevalent). I think you misunderstand. Voting fraud is practically non-existent. That is completely different than not existing at all. You need to avoid the temptation to think of things in black-and-white. I submit to you both that the voter ID law is only an issue for a very limited number of people. This issue does exist, but it is not a significant problem in Wisconsin. I understand you feel that way, but the data says otherwise. Please cite such data to which you are referring. I kind of presumed you were aware of it is, since you were making the claim. You made the claim by saying “The data says otherwise.” If this data exists, I’d love to hear it. I am open to being convinced that this is a bigger problem than I currently believe it to be. I have only seen a few anecdotal issues with getting ID’s and in each of those cases the solution was not insurmountable. So please, if you have some data on large groups of people who can’t vote or have an unreasonable burden to get an ID, please show me. comment awaiting approval, basically i have a hard time believing this is the first time you’ve heard of it. try googling for a few seconds. The only claims I’ve seen is the 300k number which kept getting tossed around by the media and creating a false impression of the situation. That number was never meant to be the number of people who couldn’t vote.. that was merely the difference between registered voters and voters who didn’t have a WI DL or ID. The number later turned out to be around 100k less… but more importantly, it didn’t include people with passports, military ID’s, veteran ID’s, tribal ID’s, valid student ID’s, etc. Not only that, but as of this year ALL Wisconsin public schools will issue valid student ID’s and all the biggest private schools will as well. In addition, in the first 11 months of the “free voter ID” program enacted by the state, Wisconsin gave out over 80k free ID’s. That was just back when the law was first enacted… imagine how many were given out now? Finally, of those who don’t have an ID… what’s the percent that really come up against major obstacles? I have no data for that. So you can see, I don’t really have any solid data on the actual numbers of people who have issues. Judging by the few, and not very difficult cases, that the democrats brought forth, I’m assuming they are few and far between. But I eagerly await your comment that is awaiting approval. Hopefully it can shed more light on the issue. Was the voter ID law in Wisconsin written by ALEC? Did they create model legislation for states to use when it comes to voter ID?